Our products perform in the most critical environments! W.F. Lake Corp. manufactures a wide variety of high performance products based on PTFE and other high temperature fluoropolymer technologies applied to industrial fibers, yarns, threads and woven fabrics. Our products include composites of fiberglass, S-2 glass, quartz fiber, aramid fiber, carbon fiber, inconel wire and other materials designed to operate in extreme environments where their unique properties provide engineered solutions to your most demanding applications. We’re committed to shipping product on-time at competitive prices! Contact us today for a free quote. 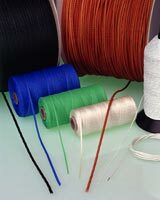 Our PTFE coated fiberglass, Nomex* and Kevlar* yarns are ideal for high performance wire & cable braiding applications. 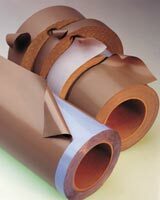 We manufacture high temperature PTFE coated threads using the latest fiber and coating technology. 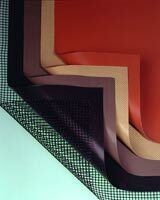 Our PTFE and Silicone coated fabrics are high temperature, non-stick, chemically resistant and dimensionally stable. 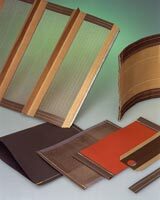 Our tapes are manufactured here in our plant using high temperature silicone or high tack adhesives. 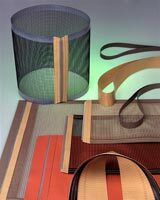 We use many of our in-house coated fabrics to manufacture high temperature, non-stick conveyor belts. We manufacture flat braided lacing tapes, round braided tie cords, draw cords and filler cords, using the latest technical fibers. We offer our customers creatively engineered products custom made using our wide range of in-house capabilities. We are committed to delivering quality product on time at good prices. Zing us a note and see for yourself! Since our founding in 1991, W.F. 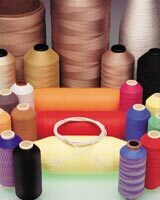 Lake Corp. has pursued sensible, sustainable growth and has developed a broad range of unique capabilities including Dispersion Coating (Yarns, Fabrics, Threads, Tapes, Cord and more), Twisting, Braiding, Winding, Adhesive Coating, Slitting, Sewing and Heat Sealing. As we continue to grow, our plant and equipment capabilities constantly evolve in response to specific customer needs and broader market opportunities. Give us a call to see if our standard products or unique capabilities can be of service in your application.